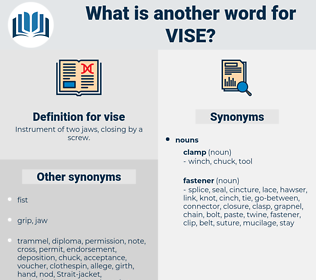 What is another word for vise? 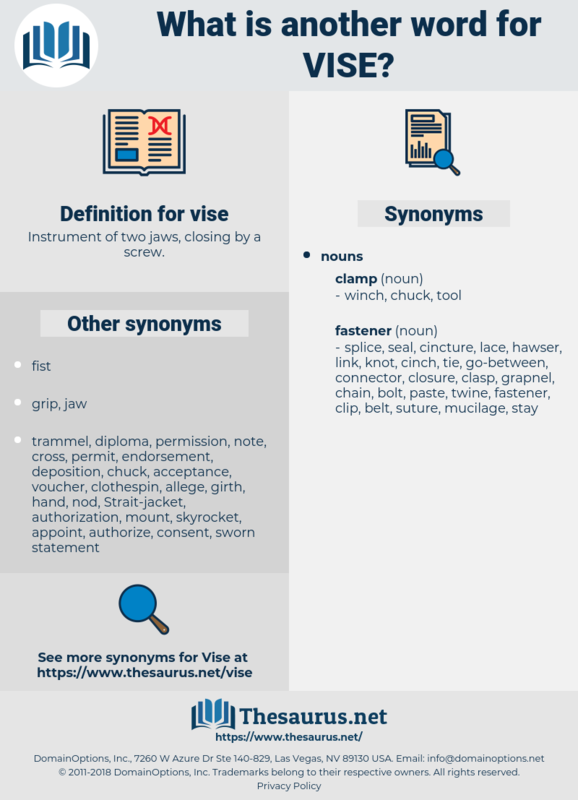 Instrument of two jaws, closing by a screw. Her head was up, and her hand, where it hooked into Mr. Batch's elbow, was in a vise that tightened with each block. Bob stood leaning back, with his elbows on the vise bench.